Starbucks Evenings? 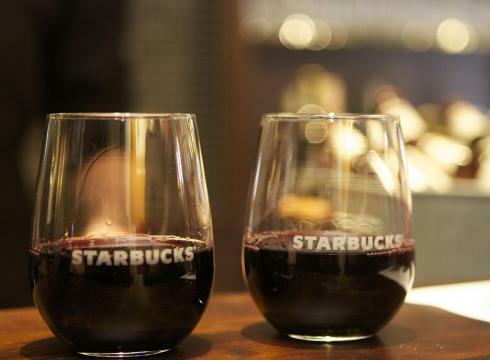 | Starbucks Wine Is Here! It seems that Starbucks is no longer satisfied capitalizing one just one of my two biggest vices: Starbucks Coffee. As if my penchant for iced quadruple espressos and chai lattes wasn’t hard enough to resist with a Starbucks on almost every block, now they intend to lure me and millions of other customers in with Starbucks wine and craft beer selections as part of their new Starbucks ‘Evenings’ program. Yes, Starbucks is serving alcohol! Starbucks has keenly identified that many of their customers who love specialty coffee also love wine (internal data revealed that 70% of their customers drink enjoy drinking wine). Beginning after 4 pm in select locations, their new Starbucks Evenings offerings will not only serve to boost revenues for Starbucks when their stores are typically much slower, but will also allow wine and beer lovers the chance to wind down and relax while enjoying small plates and a glass of Starbucks wine or craft beer. 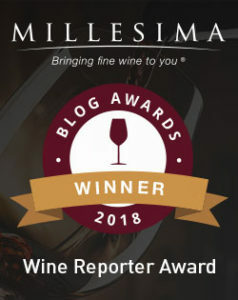 Now if you’re anything like me, you have a lot of questions regarding which wines will be available, how much they will cost, and which locations will have the ‘Evenings’ menu, etc. Read on to learn everything you need to know about Starbucks Evenings, Starbucks Serving Alcohol and Starbucks wine selections and prices! This entry was posted in 109 - Guide to Starbucks 'Evenings' | Wine & Beer Menu and tagged Carmel Road Pinot Noir Starbucks, Chloe Pinot Grigio Starbucks, Murphy-Goode Homefront Red Blend Starbucks, North by Northwest Red Blend Starbucks, Rosatello Moscato Starbucks, Starbucks Alcohol, Starbucks Alcohol Menu, Starbucks Evenings, Starbucks Evenings Locations, Starbucks Evenings Press Release, Starbucks Evenings Prices, Starbucks Evenings Review, Starbucks Food Menu, Starbucks Liquor, Starbucks Serving Alcohol, Starbucks Small Plates Menu, Starbucks Wine List, Starbucks Wine Menu, Starbucks Wine Prices, Starbucks Wine Reviews, The Show Cabernet Sauvignon Starbucks, Trapiche Malbec Starbucks, Villa Sandi Prosecco Starbucks, When does Starbucks Evenings Begin, Which Starbucks Have Wine, Wine at Starbucks on March 1, 2016 by The Fermented Fruit.